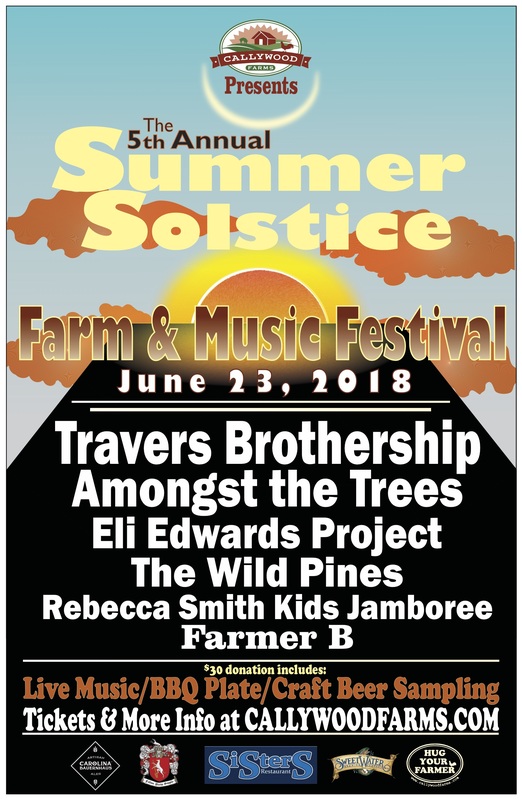 Your ticket includes admission to all festival activities, Callywood Farms home-grown BBQ plate (with sides prepared by Sister’s Restaurant), and sampling of home-brew beer. Please see ticketing details below. There are many ticket levels so please read through and see which one applies to you. Cheaper tickets available for folks not wanting beer or BBQ. We love designted drivers! Kids need tickets. 6 & Under is free but you still need to enter a ticket for them so we can properly account for attendance. Contact callywoodfarms@gmail.com with any questions. Volunteer opportunies available for discounted/free admission. Please contact for details. Attendance will be capped at 200 people, and we do expect to sell out, so please buy your ticket in advance! No! But of course only 21+ to purchase/consume beer. Please be prepared to show ID when purchasing beer tickets. Free parking is available across the street at our neighbor’s house. There will be clearly marked signs for this area. Only vehicles displaying ADA permit may park down at the farm. Please don’t pull down our driveway unless you have ADA permit or prior approval to do so. There will be a shuttle provided every 15 minutes from the parking area, or you may walk the 1/4 mile down the driveway to the event. Chairs/Blankets/Hammocks/anything to lounge on while you listen to music and enjoy the fest. Camping Gear (if you plan to stay over). Camping is encouraged…Be Safe people! No weapons of any kind. Please and Thank you. Refunds will be given up to 7 days in advance of the event. The event will be rain or shine. This entry was posted in Uncategorized by callywoodfarms. Bookmark the permalink.